1. Register for an account or login to MyFXTM. 2. Read and Accept the T&Cs. 3. Deposit $100 and start trading. The competition “Mountain Expedition” is a three-week live trading contest with $100 000 prize pool for 10 best traders. In order to win the contest traders need to get the highest percentage in profit. The calculation of the profit is affected by so-called bonuses (see below). These special bonuses are designed to boost profit and only affect profit calculated to the competition, the real profit remains unchanged. The prizes can be withdrawn after fulfilling lots requirements, calculated in accordance to the following formula: Minimum Number of Lots = Prize /100. Clients have option to re-enter the competition as many times as they like. 1. 300% profit – Double your most profitable closed order. 2. 700% profit – Remove your most negative closed order. 3. 1500% profit – Remove all negative swaps. 4. 5000% profit – Triple your most profitable order. 5. 15000% profit – Remove the 3 most negative closed orders. 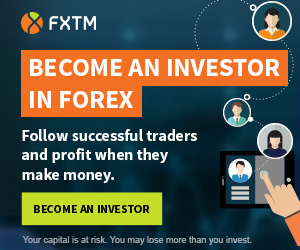 FXTM is a broker operated in European Union by ForexTime Limited, a company regulated by the Cyprus Securities and Exchange Commission (CySEC) and registered by the FCA from the United Kingdom. FXTM worldwide is operated by FT Global Limited, a company regulated by the International Financial Services Commission of Belize. They are my broker, I wish some small things were better but above all they are legit.